Resins are considered traditional Incense. Traditional Incense comes directly from the sap of certain trees. You will receive the amount selected of Gum Arabic tears (resin pieces). 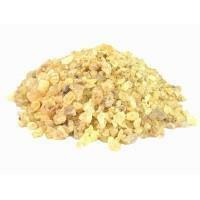 Benzoin has a long history of use as incense and perfume. In Traditional Chinese Medicine (TCM) Benzoin resin is a “yang” sedative and is used as an effective remedy for congestion and clearing away stagnation. It’s also very warming to the heart and increases circulation. 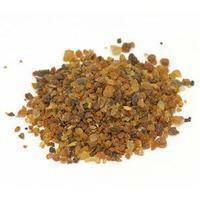 When burned, Benzoin has a nice vanilla undertone with earthy balsam notes and is a commonly used church incense for its potent effects. Magickal Uses: Prosperity, Purification. An herb of purification, burned in incense to sanctify an area. The scent is also used to attract business when combined with basil, peony or cinnamon. 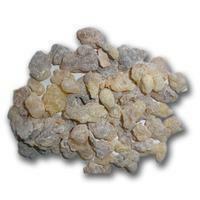 Benzoin is often used as a base for incenses. It can be a substitute for storax, to which it is related. Mostly used as incense, also used in Mexican Magic. 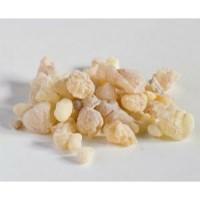 Increases the strength of other incenses, purifies, protects. Used to make Dragons Blood ink which is used to seal documents and write spells and wishes. Used to consecrate ritual tools. Used as incense for spiritual development. The resin is smouldered on burning charcoal as an incense. Raises the vibration of the room where burned and drives away negativity. Used in sachets for success. Improves focus on task at hand. Burn with sandalwood to open psychic centers. Purifying and protective incense for ritual areas. Can be used to consecrate tools.